Fantastic news everyone! 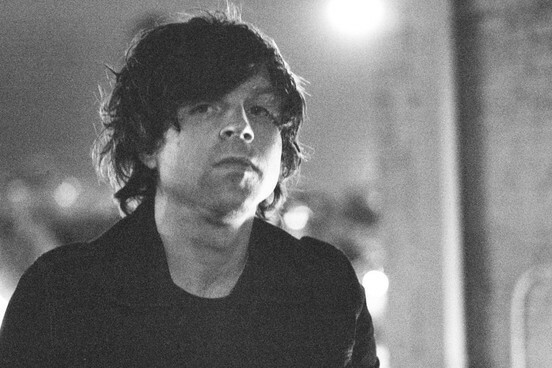 The incredibly talented Ryan Adams will be releasing an album in October. Some of us Hatchers are die-hard Ryan Adams fans and for us, this is a momentous occasion. Adams is by far one of the best songwriters of my generation. I don’t know if I have done as much soul-searching to any other artist or band. His new album, entitled Ashes and Fire, will hopefully be just as amazing as his previous works. To provide some background – after releasing a number of albums in a relatively short amount of time, both as a solo artist and during his time with The Cardinals, Adams announced in 2009 that he was taking a break from music to get married and regroup. I certainly hope this time has been good for him. He is a sensitive soul with a good heart and that shows through all of his music. I absolutely cannot wait for the new album and the accompanying tour. I would love to see him come to the Sunshine State, but anywhere in the continental U.S. will suffice. I have an endless amount of love for this man. I will travel. Just yesterday, Adams posted one of the new tracks, “Lucky Now,” on Soundcloud. I listened to the song over and over again last night and I have to say – this is the Ryan Adams I have known and loved for years. The song begins with the words “I don’t remember…were we wild and young? All that’s faded in a memory.” It then leads into the first chorus, “the lights will draw you in, and the dark will bring you down, and the night will break your heart…only if you’re lucky now.” This affirmed for me that this new album will be nothing short of incredible! You can listen to the track here. Ashes and Fire will be released on October 10th. The full track listing is included below. Just last year, I, along with a fellow Hatcher, ran into an issue with Ticketmaster’s paperless ticketing process. We purchased tickets for a group of folks to attend a concert in Tampa, and then learned that in order to get into the show, our entire group had to enter the venue together, with the purchaser of the tickets. The purchaser also had to have identification and the card with which the tickets were purchased. The entire process ended up being a pain for us. It’s difficult enough to attend a show more than three hours away – an unfortunate burden us Jacksonvillians are frequently faced with – but trying to rein our entire group into one plan was next to impossible. But all of that aside, I just couldn’t help feeling an incredible amount of frustration with this policy because, well, they were OUR tickets. If I purchase an item at a store, I walk away with it. The item is mine to do whatever I want with it. I know that the ultimate goal of paperless ticketing is to keep people from reselling tickets at prices higher than face value, but it seems to me that it’s the fans that really get punished. It’s nice to see fans and ticketholders taking action, and it will be interesting to see where this issue ends up. 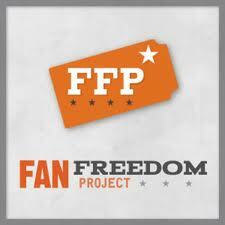 You can find background and additional info on Fan Freedom Project here. 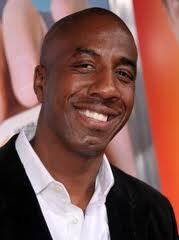 Funnyman JB Smoove, a/k/a the gut-busting Leon Black on HBO’s Curb Your Enthusiasm, recently announced the creation of his comedy website TheRuckus.com. Anyone out there who is not familiar with JB is seriously missing out. Not only has he become a household name for Curb watchers, he also puts on the best stand-up comedy I have ever seen. Seriously. Hands down, the best. I saw him perform in Jacksonville two years ago with some fellow Hatchers and I laughed so hard I cried during his entire set. I would put out some serious cash to see him perform again, and it looks I may have to, as JB has recently secured roles in a number of popular films, including Date Night and Hall Pass (although his comedic talents were so underused in both of those roles I almost have a hard time mentioning them). He is also cast in the upcoming films The Sitter (which looks hilarious) and We Bought A Zoo. You can check out JB in his role as Leon in these clips from Curb. Anyhow, I think the intent of The Ruckus website is to be like Funny Or Die, where there is a team of comedians and writers posting material and users can upload their own vids. Also, as a really cool sidenote, the day I joined the site I actually got a shout out on the home screen! You have to look close in the “What’s Going Down” section, but there she is. Our graphic designer Robert even circled it in red! Ruckus! One final, awesome note in this Batch O’Hatch. Yesterday, Brit songstress Florence Welch and her band Florence and the Machine released a track from their upcoming new album, entitled What the Water Gave Me. 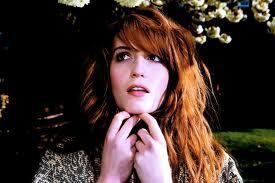 Florence saw major success with her debut effort, 2010’s Lungs, which I would argue is one of the best albums of the decade. Her voice is awesome, her sound is unique, and the new song is pretty damn good. Check it out here and let us know what you think! So getting married to Mandy Moore (?) didn't make Ryan happy? "whose damn dog is this?!!"